This is longer than my usual ‘short’ story. If you haven’t read the earlier part, I really suggest you go to ROCK Part 1. Otherwise, this one may be a little harder to follow than you’d like! The scene is the Gibraltar fortress in WW2. The two Abwehr saboteurs – Ulises Lope Guiomar and Gonzalo Olegario, having killed a US soldier, have just avoided being discovered by the Black Watch corporal ‘Braw Wullie’ McEwen and his simian companion ‘Hairy Wullie’ – a most unusual Barbary macaque. Ulises jumped down from the back of the truck. “Thanks, buddy,” he said, already taking on the accent he’d learned in southern California. With the brisk step he’d adopted, he stepped smartly across the parade ground, carefully not following the Scottish corporal and the monkey. He was startled when a sergeant major from one of the engineering companies shouted at him. “You there! Soldier! Get your hair cut!” the pompous RSM ordered. “See that you do!” The officer gave a curt nod and continued on his way. Gonzalo Olegario realised he’d been holding his breath as he watched the little exchange. The soldier who’d just come over to buy some oranges looked at him in concern. “Are you okay, mate?” he asked in a voice that might have just left the East End of London. Ulises had been much less concerned than Gonzalo. He moved and worked with absolute confidence, an air that gave nobody any cause to doubt that he was the GI he presented himself to be. There were a number of entrances to the tunnel complex in the section of the Rock that he was approaching. He selected one that had a numeral 5 on a small sign mounted on the rock face. A British soldier was guarding the tunnel entrance – a man that Guiomar was confident had not been among his customers and thus would have no chance of recognizing him. He saluted the guard and said, “Been ordered to HQ”. Guiomar squared his shoulders and offered a practiced smile. “Reckon I need the exercise,” he said. “Suit yourself, matey,” said the guard and waved him on his way. As soon as he was well inside past the guard the Spaniard broke into a run. He was remarkably quiet for a man in heavy boots inside a tunnel. He’d spent a lot of time practicing a running style that saw him seemingly glide, rather than slamming his feet to the ground. Once clear of the daylight streaming in at the entrances, Gibraltar’s tunnel system was a gloomy place. Long stretches of tunnel were only sparsely lit by small bulbs, feebly penetrating the darkness. The holes punched in the limestone had not created high ceilings or wide corridors. In some places groundwater seeped through the stone above and dripped slowly onto the floor. Guiomar stopped outside a closed door, poorly illuminated by a flickering light. Evidently the wiring to this socket was faulty and the charge wasn’t getting through properly. The Brandenburg smiled, rather like a shark. This was clearly a storeroom of some sort. With luck it would contain something volatile behind the locked door. He reached into his blouse and extracted one of the packages from the special vest. He squeezed and felt a small piece of copper buckle under the pressure of his thumb. He felt more than heard thin glass crack. It had begun. He had about two hours to finish the job and get well clear. He wedged the first package into a cleft in the rock wall near the door, and then took off along the corridor at a steady pace. A longer-than-usual “short” story, so I’ve broken it into two parts. The great course of history can turn upon small and unexpected things, never more so than in wartime. Significant events can happen, or not happen, pivoting on mere moments in time. Luck? Chance? Coincidence? Dubious magic? The Brandenburg Regiment of the Abwehr Second Division was not the most popular element within the German army. The SS and the Abwehr maintained a deep-seated and bitter rivalry. Military intelligence was the Abwehr’s provenance, and there were many in the SS who resented their lack of ready access to secrets they felt entitled to. Some of the die-hard traditionalist old soldiers in the High Command still felt that the Abwehr’s techniques of subterfuge and espionage weren’t a “proper” way to conduct a war, and regarded the whole organization as intrinsically dishonourable. And there were some, even within the Abwehr itself, who felt that the whole idea of the Brandenburgs was an affront to their treasured ideal of Aryan supremacy. The men of the Brandenburg Regiment were the equivalent of the British Commandos. Highly trained both physically and mentally, in disciplines from swimming and hand-to-hand combat to map reading, secret messaging, forgery, demolition and camouflage, they were an elite group designed to operate behind enemy lines. By the time of their dissolution in the autumn of 1944 they’d earned more decorations and commendations than any comparably sized unit in the German army. The problem for the Aryan supremacists was that, in order to function effectively in foreign countries, it was necessary for the Regiment to be largely composed of foreigners. This was a further affront to the SS, who sought out recruits with exemplary Nordic features. The Brandenburgs, in contrast, specifically wanted men who looked like they belonged in their chosen fields of operation. To join the Regiment it was essential to speak at least one language other than German, preferably more. They recruited expatriate Germans from across Europe and Africa, but also the likes of Slavs, Poles, Ukrainians – even Spaniards. Spain was a vexation to Hitler. The leader, General Franco, stubbornly refused to enter the war on the side of the Axis, although he was just as intransigent about joining the Allies. It seemed to the Fuhrer that the man would not commit to anyone until the war was over and a clear winner could be identified. One tiny corner of southwestern Spain was of particular concern. Out on the edge of Andalucía, Gibraltar had been held by Britain since the Treaty of Utrecht in1713. The British fortress on the Rock of Gibraltar was a key strategic position, giving the Allied navies a significant tactical advantage. It also provided a well-sited airstrip for combat operations. If it could be taken, or at least incapacitated, it would be a powerful blow. The difficulty was that it was a very, very tough nut to crack. By the middle of 1942 the Rock was actually rather less solid than it appeared. 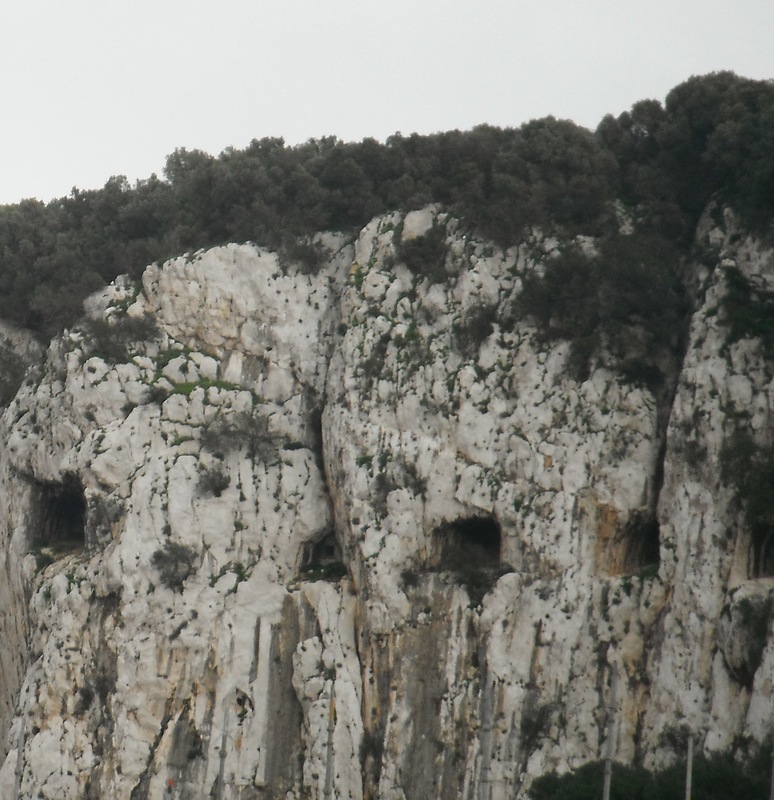 Five companies of British engineers and two companies of their Canadian allies, equipped with diamond tipped drills, had riddled the Gibraltar limestone with an impressive subterranean network. The size of a small town, it had more than thirty miles of tunnels and chambers – more tunnels than there were roads on Gibraltar. The tunnels linked up storage rooms, office space, signaling stations, even a power station, water supply and a well-equipped hospital. At the very heart of it all was the recently established Headquarters of Operation Torch – coordinating the Allies’ planned invasion of French North Africa. General Eisenhower had only just arrived to take command of the Operation. The General didn’t especially like his new environment. He found it damp and dank, but he readily acknowledged how secure and safe it was as a base. It certainly seemed as near as possible to impenetrable. In large part that was due to the construction of his HQ, but he was also pleased to acknowledge the caliber of the British troops who formed the majority of Gibraltar’s defence force. Among those troops were members of the 4th Battalion of the Royal Highland Regiment, better known as the Black Watch. Among them was a soldier named William John McEwen. Corporal McEwen had been an orphan, shipped to the Hebrides island of Islay in his youth and raised in the little village of Sron Dubh. His hair, which he could never make tidy enough for the satisfaction of some officers, lacked the fiery redness so often associated with Scots. He was middling tall, with broad shoulders. He’d competed with some success in the hammer throw event at Highland games, routinely launching the 22 pound metal ball and its four foot wooden shaft over a hundred and fifty feet. The 4th Battalion had been among the last troops to be evacuated from Dunkirk. McEwen had earned his promotion during those desperate days in France, together with a reputation for having a cool head in a crisis. It was also noticed by alert eyes that he had a knack for being in the right place at the right time – where and when he was needed. Not an ambitious man, Braw Wullie as he’d been known in Sron Dubh (many of the village men were named William, and each of the ‘Wullies’ had his own nickname to distinguish him) tried to keep a low profile on the Rock. There was only one wee little problem with that. 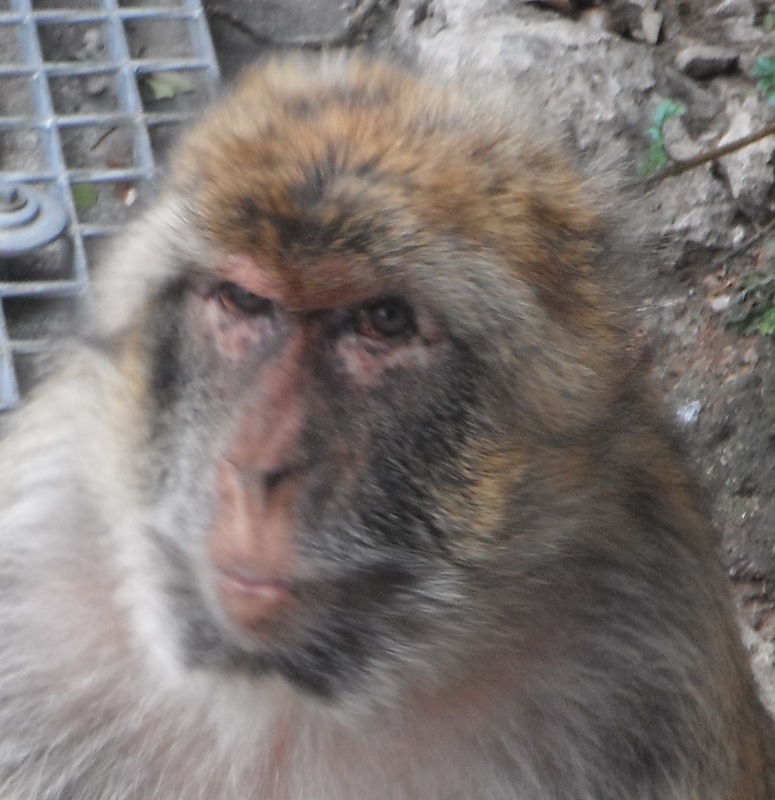 That wee little problem was a Barbary ape. 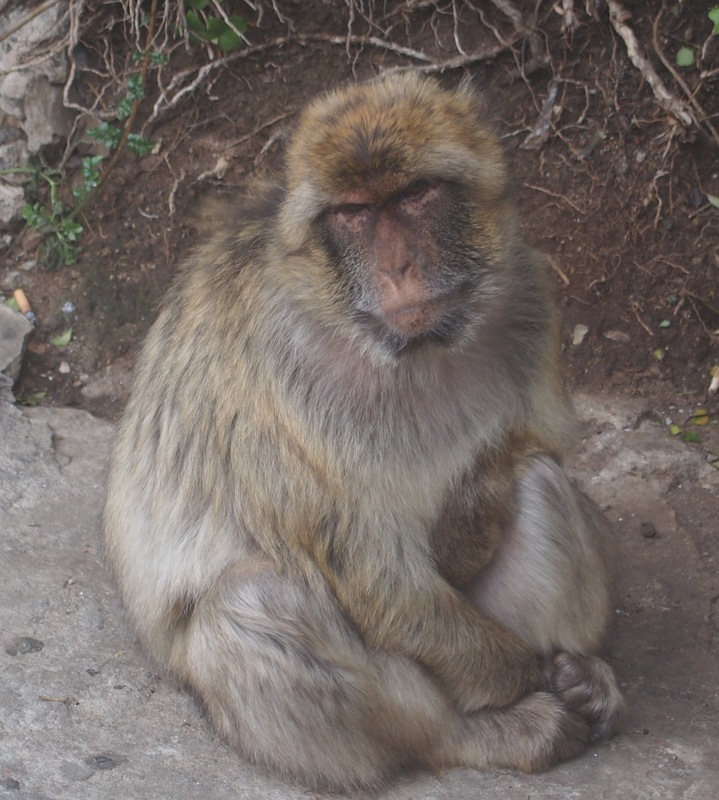 One of the many macaques that inhabited Gibraltar had attached himself to the Corporal. It was peculiar behaviour. The beasts were normally scavengers, not people-shy but not at all tame, either. This one on the other hand had wandered up to the Scot when he’d first arrived at the fortress, tilted his small furry head to one side as if studying the man, then proceeded to accompany him all around the place. 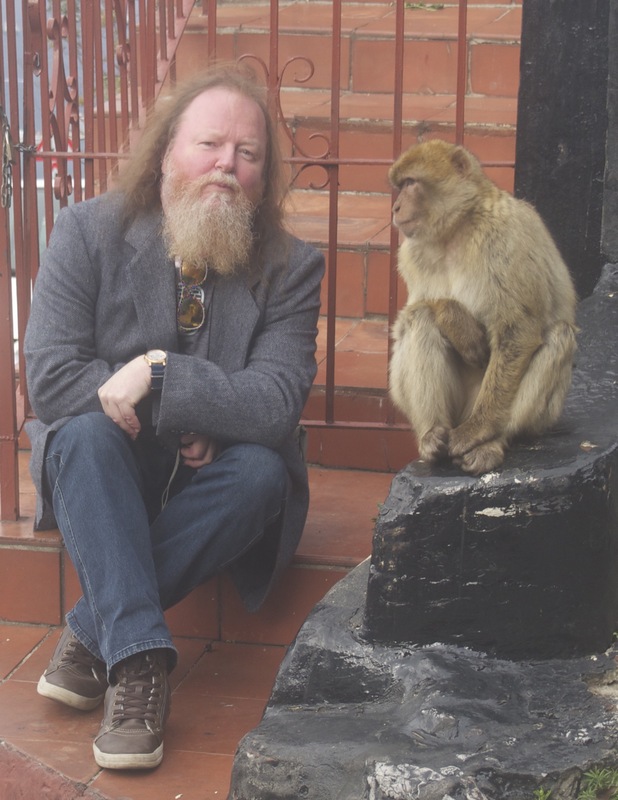 McEwen had done nothing at first to encourage the attentions, but eventually would talk to the monkey as an intelligent companion. “He’s smarter than some o’ you bampots,” he’d said with a smile when a few of his comrades made disparaging remarks. He even gave the creature a name, hearkening back to the habits of his old village. ‘Hairy Wullie’ – who immediately learned to respond to the moniker (although mostly only when called by McEwen).